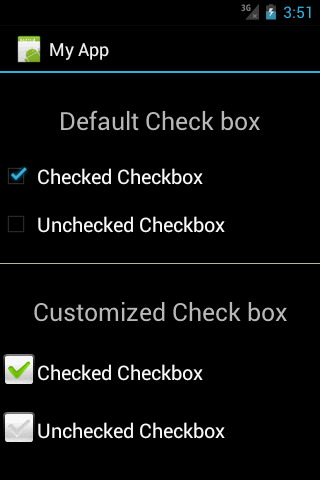 In android we can customize the customize the default checkboxes. Default checkboxes are small and also not attractive, By using customized checkboxes we can design more attractive and better user interface. To customize checkboxes we need to define our own drawables for checked and unchecked state. In this example I have used these two drawables for checked and unchecked state. 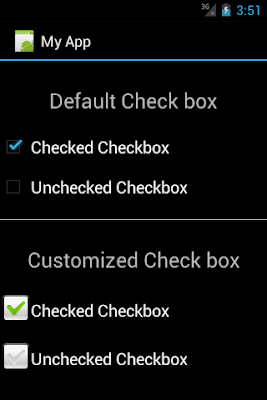 See the differences in default checkbox and customize checkbox in below screenshot.